Concentration means to focus on one particular thing. For teaching and learning concentration is very important. Without concentration on anything we cannot get success in any work we are doing. A child who is not able concentrate on his studies cannot succeed in his/her work. If anyone does his work and pays attention towards his work he/she can surely get success. A person whose mind is concentrated receives inspirations in his work and his thinking. Concentration has many uses and benefits. It assists in studying, improves the memory and helps in focusing on a task, achieving goals more easily and efficiently. When the ability is strong, the mind obeys you more and does not engage in negative thoughts or worries. 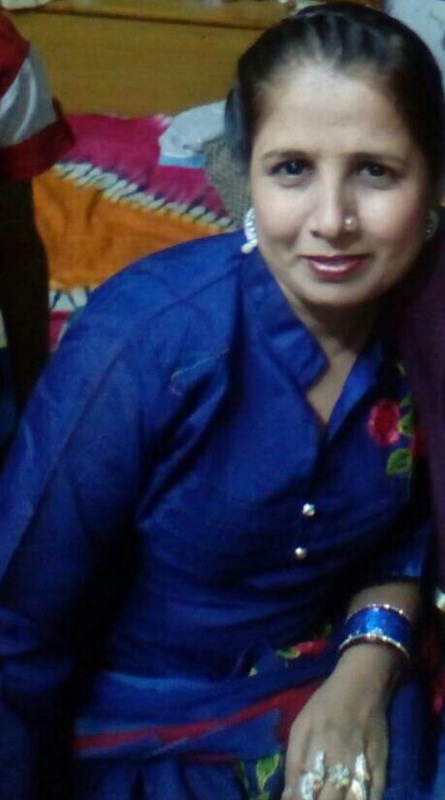 Lakshit Mathur ( Batch 2015) is doing BTech. in Computer Science from Arya College of Engineering and IT. Jaipur. 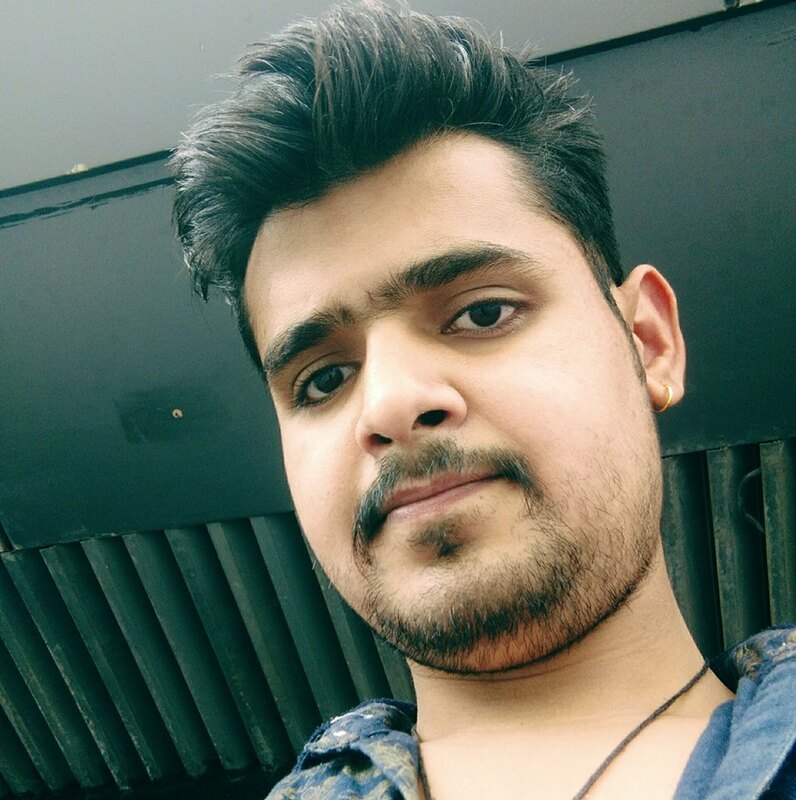 He passed his XII Science Math in 2015. Then he joined the Arya College and is doing his B.Tech. in Computer Science. He was a sincere and loyal student. 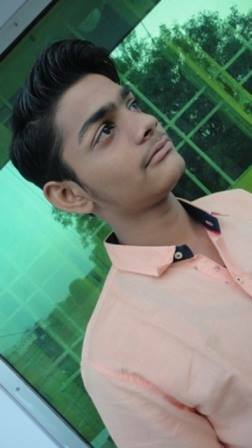 He participated in both Sports and Co-curricular activities and was good in Academics.He loved to play football. He was confident and a great support to everyone. He misses his classmates a lot and remembers his old days in school. Tuesday, 30th January- Wednesday, 31st January: Staff had PDP Session Mr. Ajay Vijaywargi read out a thought ‘Hoarding Knowledge like Property ' from the book “Can We Teach a Zebra Some Algebra “by Debashis Chatterjee”. 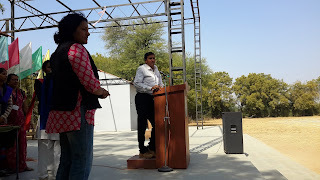 Mr. Krishen Gopal read out a thought "प्रथम प्रयास मे ही सही काम करे ।" from the book "आइसक्रीम मेकर" से सुबीर चौधरी I Educators then discussed their opinions, gave their views and uploaded a writ up with graphics and photo in Ice Cream Maker. Staff wished Ms. Ayesha Tak, Mr. Krishan Gopal and Mr. Tarun Mishra a Happy Birthday. May God bless them and best wishes for their future. 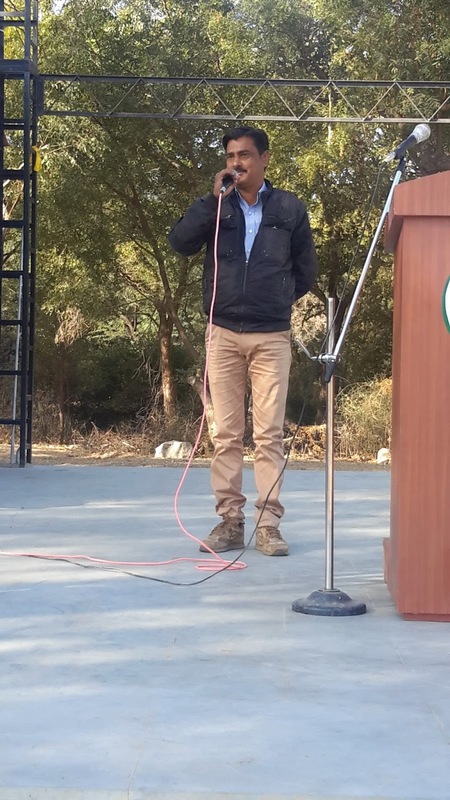 Mr. Gulabram Choudhary F/o Ganpat Choudhary /VIII A was selected as Parent This Week. He addressed the Assembly. He appreciated the work the School was doing. He was happy that his wards were studying in this school. He said that he as a Parent he is going to see to his ward's studies but he expected the Staff to also pay attention on the students. GC: I work in LIC. GC: Four ward of mine are studying here. GC: Yes I have achieved my goal. ED: What do you expect from your children? GC: They should work hard and make us proud. GC: I expect from the school to provide all facilities to the students that they need for their all round development. GC: I would like to give the message that they should work hard and should take part in all activities. ED: What improvement have you seen in the school? GC: I have seen that the school management has improved. GC: It will be a great honour for me to return back to this school if the school gives me the opportunity. 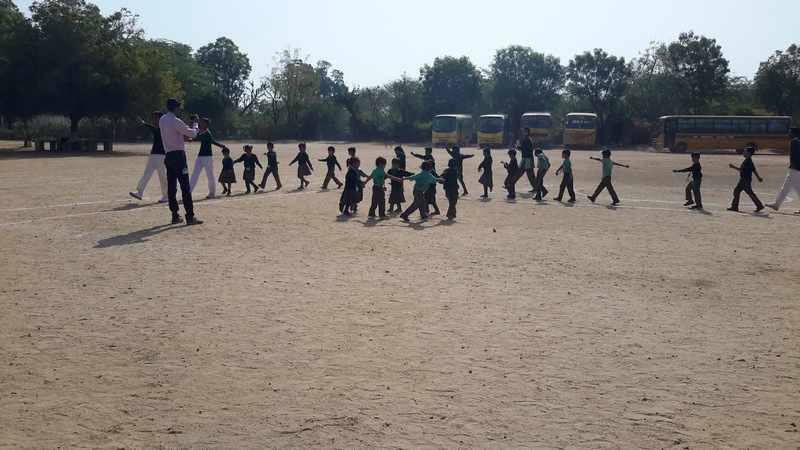 Saturday, 3rd February: Pre Primary students were seen preparing for the Sports Day for a week. 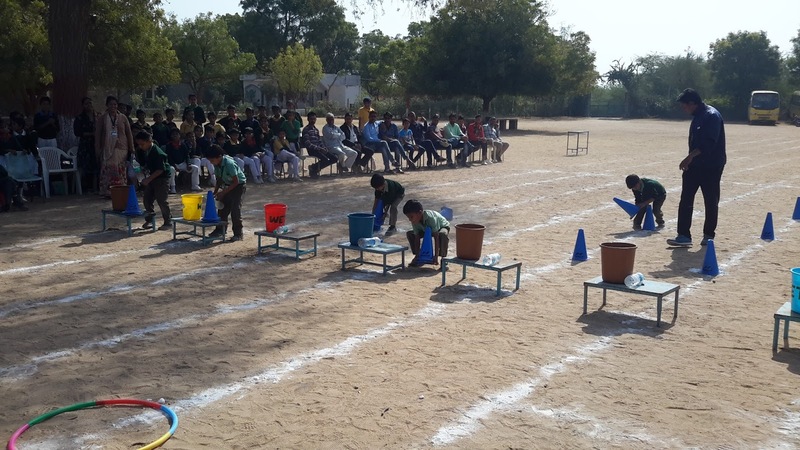 Sports Teacher Mr. Tarun Mishra was working hard to make the Sports Day a grand celebration. Students, Support Staff and Sports teacher were seen preparing the ground and tracks for the celebration on 3rd February. 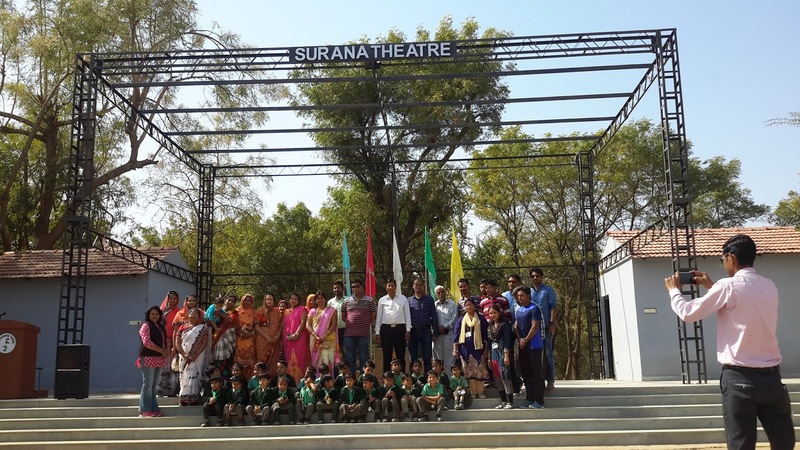 The Chief Guests for the function were Mr. Tejaram Meena, Sarpanch Boya, Mr.
Sandeep Singh, Admin Head and Mrs. Bharti Rao, AcademicDean. 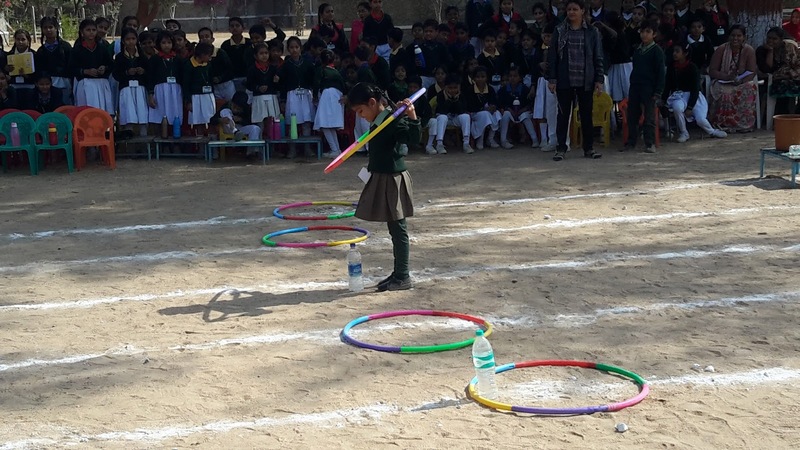 In a solemn opening ceremony AD Mrs. Bharti Rao declared the Meet Open; the Pre Primary School March Pasted; Admin Head Mr. Sandeep Singh lighted the Sports Torch that was in Chirag Sharma's/ VIII A hands. 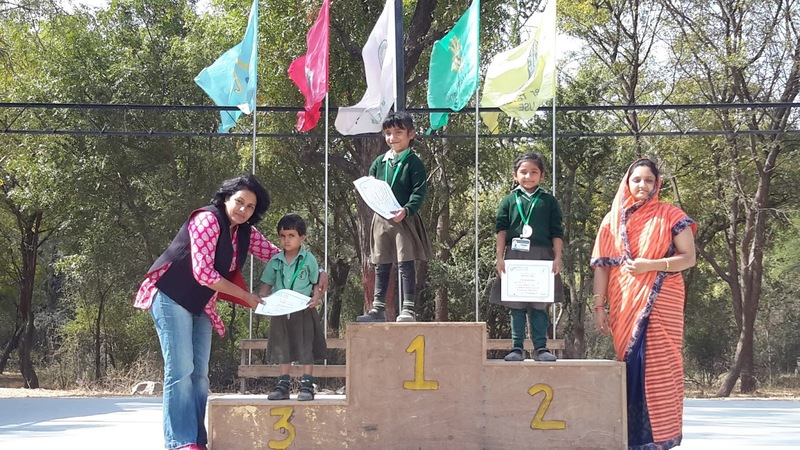 In turn Krishnapal Choudhary ran with it on the track while Alveera Khan, Vratika Sirvi, Harsvardhan Singh took the torch and completed the auspicious round to start the Sports Day. Mrs. Kavita Devda administered the solemn oath to the House with the students taking the oath with her. Students presented Aerobics. Various field and track events put the students in high spirit, each house members cheered for the students. Track events like 20 M, field events like obstacle race, ball-picking game, fun race etc. were organised . 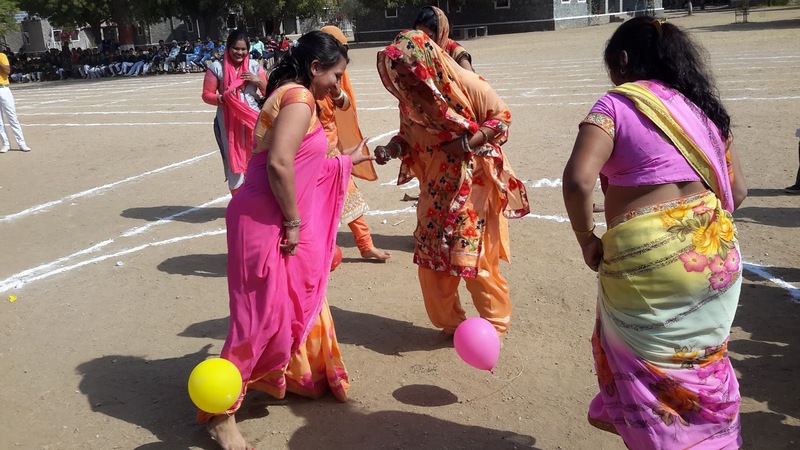 Musical Chair and Balloon Fight was organised for the Parents Thanks to all those parents who came to witness the events. The Parents gave away certificates and medals for the events. Thanks to all for giving away the medals and certificates to our winners. The whole event was anchored by Chanchal Choudhary/ XI and Kirti Malviya/XI. Mrs. Bharti Rao gave Vote of Thanks. 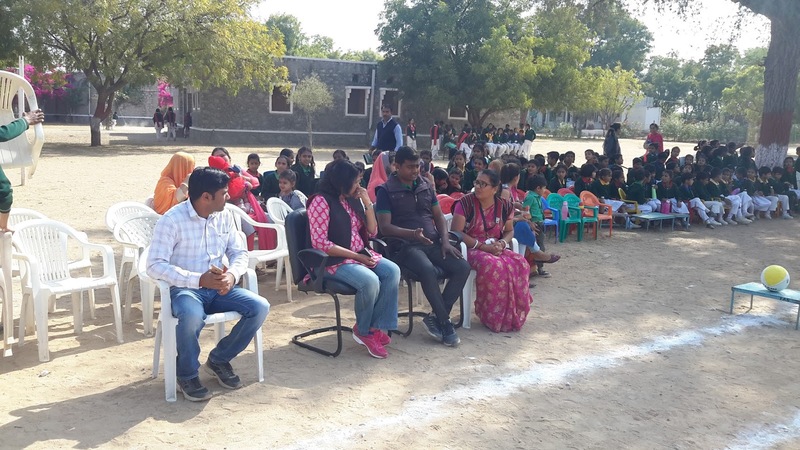 Sports Meet ended with the declaration of the Principal Rajeshree Shihag to close Annual Sports Meet. It was a great day for all. Monday, 29th January: Pre Board II for Class XII and X were conducted. Board Practical Exams were conducted through the week for both Science and Commerce stream. Students are working hard to give their best. Best of luck for their exams.